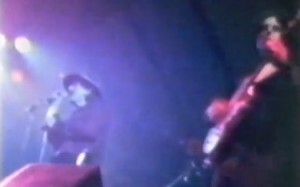 A previously unknown video clip of Don and the boys from 1980 has surfaced on YouTube. Sadly it’s only a very short piece but sees them ripping into Ashtray Heart in Rotterdam. all it takes is .32+ seconds to get an impression of how powerful, magical, and unique Don and company were. jeez!